A quick and effective way to cleanse, tone, moisturise and nourish your skin, on-the-go or after a busy day! Ideal for beautiful aging skin. 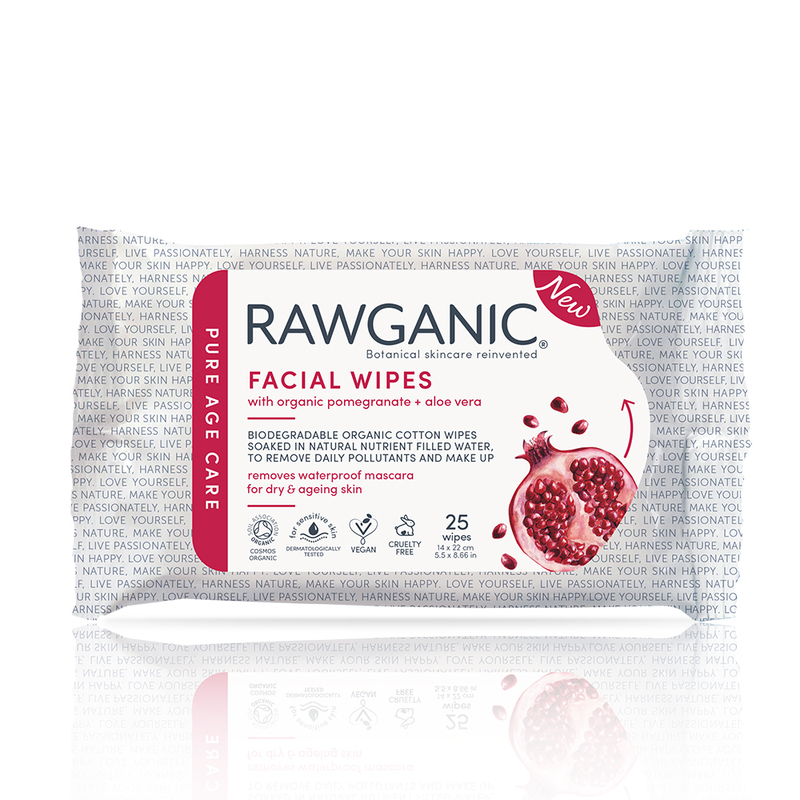 Our organic cotton wipes are soaked in nutrient-filled water and are super gentle on your skin. No plastic. 100% biodegradable.